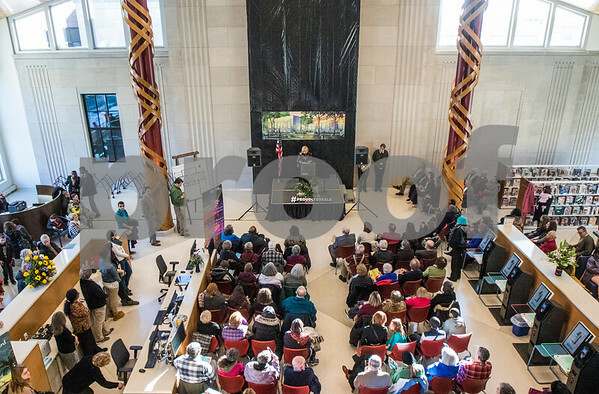 DeKalb Public Library Executive Director Dee Cover speaks to the crowd in the lobby of the expanded DeKalb Public Library directly in front of the exterior wall of the Haish Memorial Library building at the reopening of the library on Monday, Jan. 18, 2016. The Haish Memorial Library building, built in 1930, will be remodeled. With the expansion, the library will have tripled its original size from 19,500 square feet to 65,000 square feet.